The five-man shortlist for the 2015 BBC African Footballer of the Year award will be revealed on Saturday. The winner will be decided by African football fans, who will have until 18:00 GMT on 30 November to vote. Yacine Brahimi won the award in 2014, becoming the first Algerian to do so. Saturday's launch programme will look back at the history of the award and feature a special report on the global impact African footballers are having. 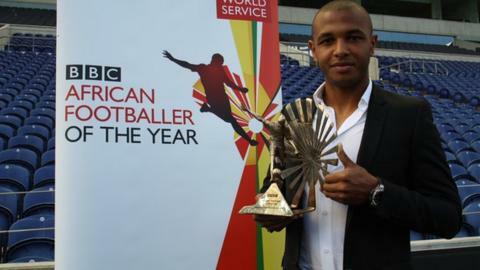 BBC Focus on Africa's Peter Okwoche will be joined by a panel of football experts, including former South Africa internationals Delron Buckley and Bradley Carnell. On radio, Sportshour presenter Caroline Barker will be joined by the BBC's Nomsa Maseko for a special edition of the programme to celebrate the best in African football. The guest panellists will discuss each nominee before declaring voting open.